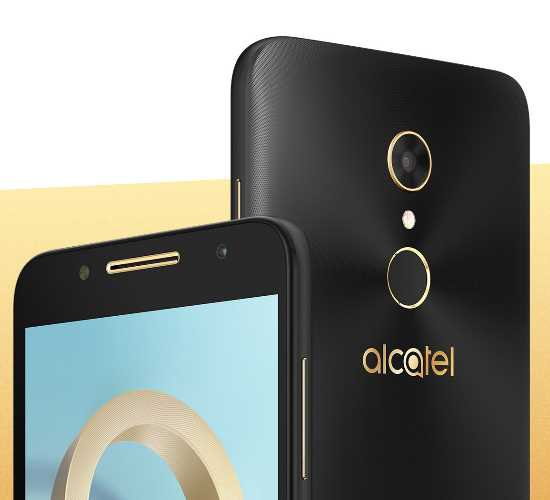 Alcatel has been delivering phones for all budgets for some time, and in our Alcatel A7 review we take a look at the mid-range smartphone on offer from this manufacturer. The A7 has a big 5.5-inch display that dominates the front of the device, this screen is protected using Dragontrail glass, similar to Gorilla glass. The back of the Alcatel A7 has a unique spin-effect design, this is a textured finish and it makes the phone easy to use one-handed. The big display performed excellently when watching videos and web browsing is superb on the big screen. The phone handled multitasking well, switching between tasks was quick and the device performed well when it came to responsiveness. There is a finger sensor on the back of the phone, this is situated in a natural position so it was easy to unlock the phone. The A6 has a 32GB memory, 23GB of this is available for storing photos etc. There is a MicroSD card slot for adding an additional 128GB so storage won’t be an issue. Android 7.0 is on board so the usual apps and features are included. The phone had a really good performance across the many apps we tried out, the big screen was particularly good for gaming. 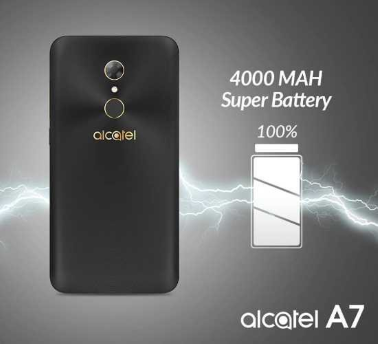 The Alcatel A7 has a big 4,000mAh battery and this delivers an impressive usage time between charges. With the particularly heavy use it got when trying out the features, the battery lost minimal charge. The camera package on this device was quite impressive for the price point it is aimed at. The performance of the 16-megapixel camera was excellent in varied conditions. The lens has a wide f/2.0 aperture to capture more of the available light, this resulted in great photos. The camera has features such as HDR and Electronic Image Stabilisation as well as Phase Detect Auto Focus. The LED dual tone flash worked well at naturally lighting subjects and the video record option was decent with a 1080p quality. The selfie camera is an 8-megapixel lens with wide-angle shot and an LED flash, this captured good photos and real-time beautification enhances the image as you look at it to make sure you are happy before you take the shot. The Alcatel A7 is not a top device however, the performance and superb camera make this a phone worth considering if you don’t want to fork out flagship prices. The phone feels like it is a good quality device and the performance, battery life and big display make this a great phone to use.